Sherwood a aWordPress Theme with the flexible design and modern touch. Depending on your needs and preferences, you can turn this awesome theme into One Page or Multipage layout. 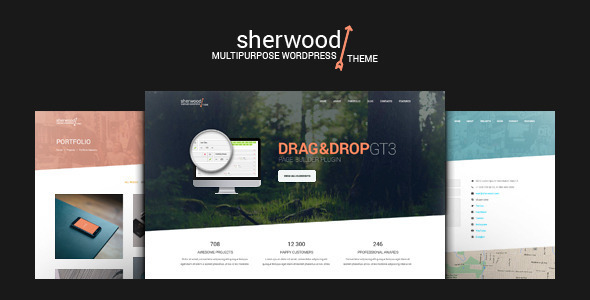 In both options, Sherwood can be easily customised as it comes with advanced GT3 Page Builder features which allow you to make your life easier while working with this awesome theme. Invite harmony between content, layout and screen with Sherwood WordPress Theme! Discover the Power of GT3 Themes Products.